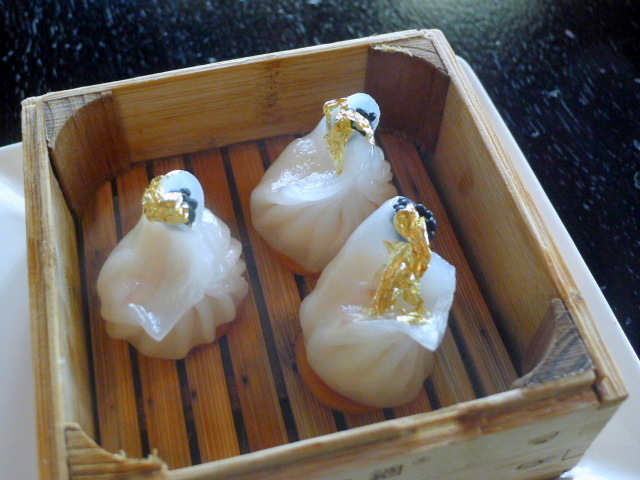 Tomo Japanese Restaurant is a stylishly elegant restaurant located on the 17th floor of the sumptuous Raffles Hotel Dubai. 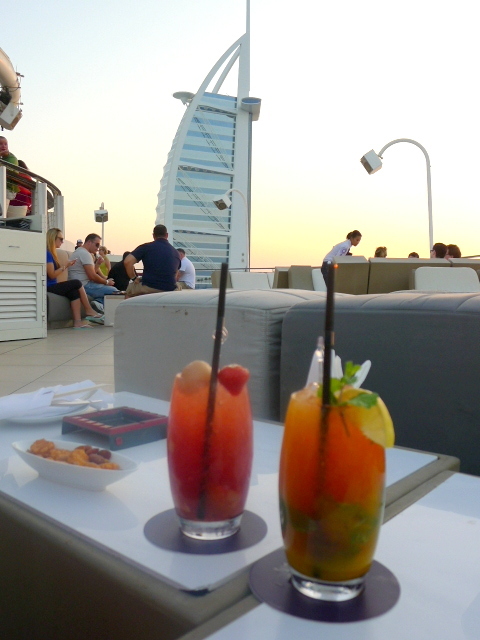 It has an outdoor terrace that offers wonderful views of downtown Dubai which is perfect for pre-dinner drinks. Tomo only opened earlier in 2013 and in that time it has managed to sweep Time Out Dubai’s Best Newcomer of The Year Award. 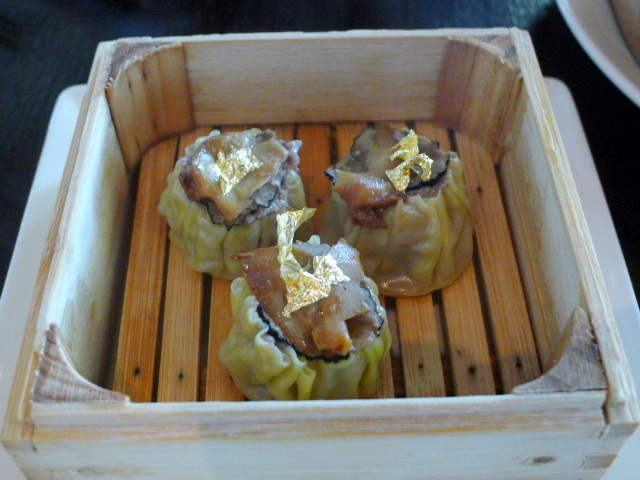 But while Tomo may be less than a year old, Executive Chef Chitoshi Takahashi has long been recognised as one of the best Japanese chefs in the Middle East having worked in the region for about 30 years. 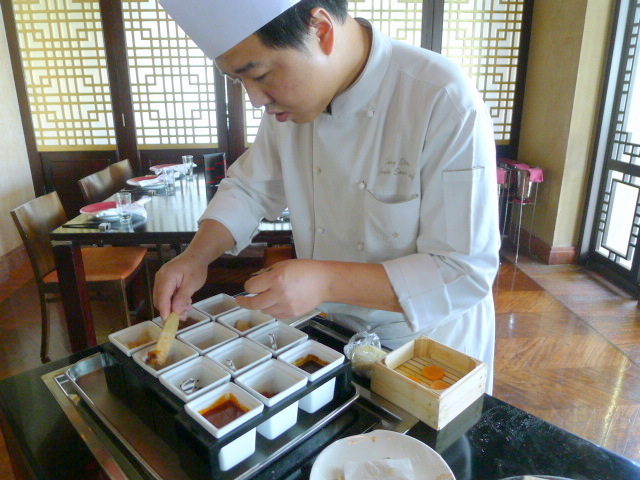 He has an established following, and was recently flown to Qatar to cook for the Prime Minister of Japan when he was there on a state visit. Recognition indeed. 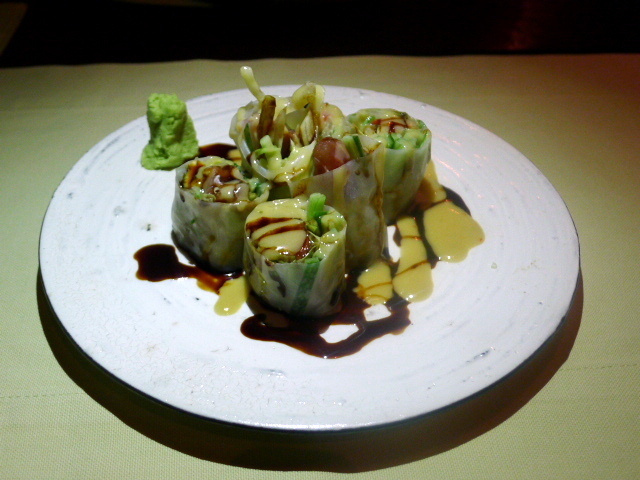 We started with a summer roll salad with tuna and avocado (AED70 – about £11.70) which was fresh and tasty. The combination of the avocado and the tuna was a great match and the tuna was excellent. To complete the plate was a mixture of miso sauce and a balsamic vinegar dressing, both of which were nicely done. However less sauce was needed on the plate. 360 Bar & Lounge in Dubai has carved a niche for itself by offering some of the best club music in Dubai. It was voted Top 100 clubs in the world for three years running by DJ Magazine, and earlier in 2013, 360 also scooped the Time Out Dubai Nightlife Award for ‘Best Club’. But for me, what makes 360 Bar & Lounge special are its views. It’s split over two floors – an indoor ground level and an alfresco upper deck where there are lounge seats dotted around its circumference. Its circular perspective means that you get spectacular views from wherever you sit, which were particularly impressive during our sunset visit. The music is every changing, but for our chill out it rotated between a DJ set and a live jazz band. 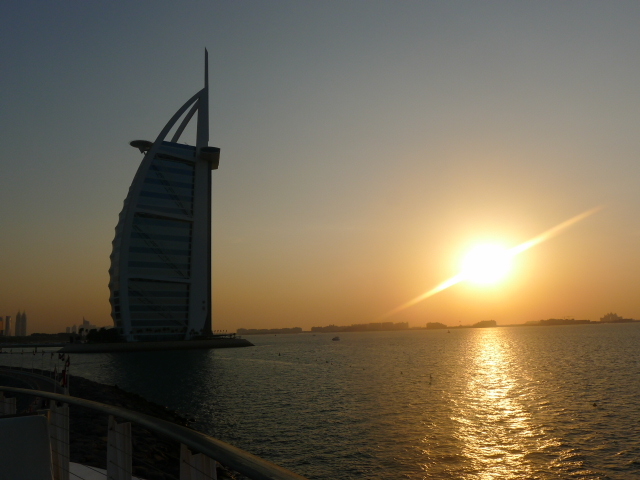 It was all very cool, and the magic of sunset over Jumeirah Beach and Burj Al Arab made for an incredible experience. Update on 12 November 2013: Chef Lee Adams has now left Rhodes Twenty10 to work with Gary Rhodes on his Grosvenor House venture. With the closing of Rhodes 24 on 27 September 2013, the last of Gary Rhodes’s restaurants in London, the Michelin starred chef has officially said goodbye to London. It’s weird to think that after decades of him cooking in London that he no longer has a restaurant in the capital. But the chef continues to maintain a presence in the UK with his restaurant Rhodes at The Dome in Plymouth. Rhodes’s sights are now set on the UAE with several outlets including the recently opened Rhodes 44 at the St Regis Hotel Abu Dhabi, Rhodes Twenty10 at Le Royal Meridien Beach Resort & Spa Hotel and Rhodes in Residence at the Grosvenor House Hotel, both of which are in Dubai. And his recently closed Rhodes Mezzanine, also at the Grosvenor House Hotel Dubai, is due to reopen again in December 2013 after a full refurbishment. Rhodes Twenty10 scores a ten out of ten for glamour and chic. It’s intimate and seductively dark, but also soft from the hints of lilac that run throughout the décor. 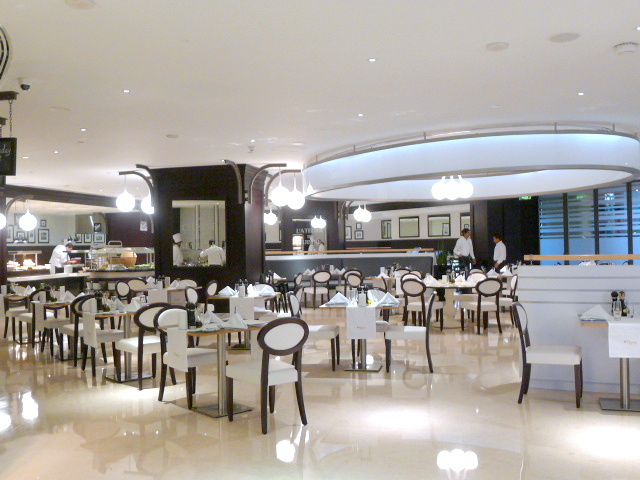 Gosh the restaurant was gorgeous, and it’s a perfect fit for the equally glamorous looking Le Royal Meridien Hotel. A steak and grillroom, Rhodes Twenty10 offers an extensive range of prime-cuts of meat and seafood. There’s also a smaller range of mains that include some tried and true British classics such as steak and kidney pie and fish and chips. 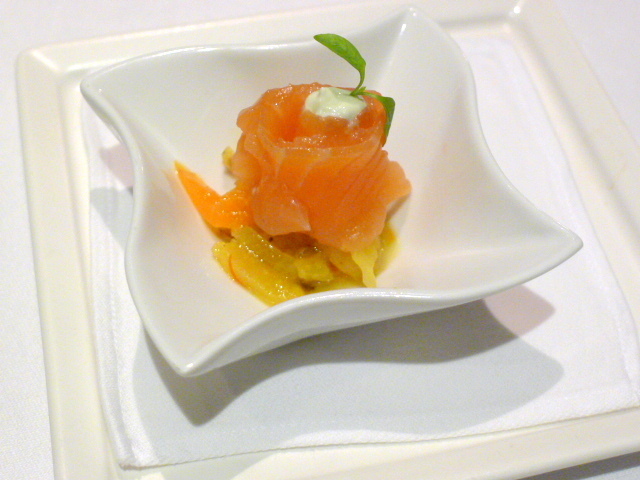 But the more inventive part of the menu revolves around the starters, which were designed as sharing plates for the table (typically with four portions per order). All the sharing plates we tried proved to be excellent, but our favourite was the mouthwatering sesame seared tuna (AED55 – about £9.30) served with honey mustard green beans, red onions and radish. 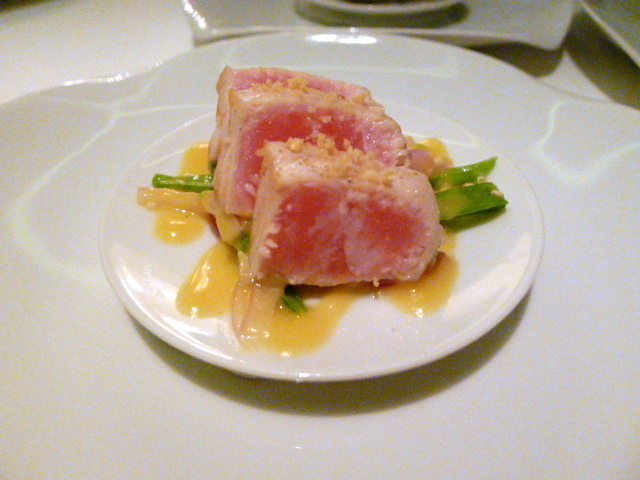 Beautifully seared, the tuna was delicious, and the acidity running through the dish was light and well judged. From Bahrain I headed to the eating, shopping, beaching and partying mecca that is Dubai. 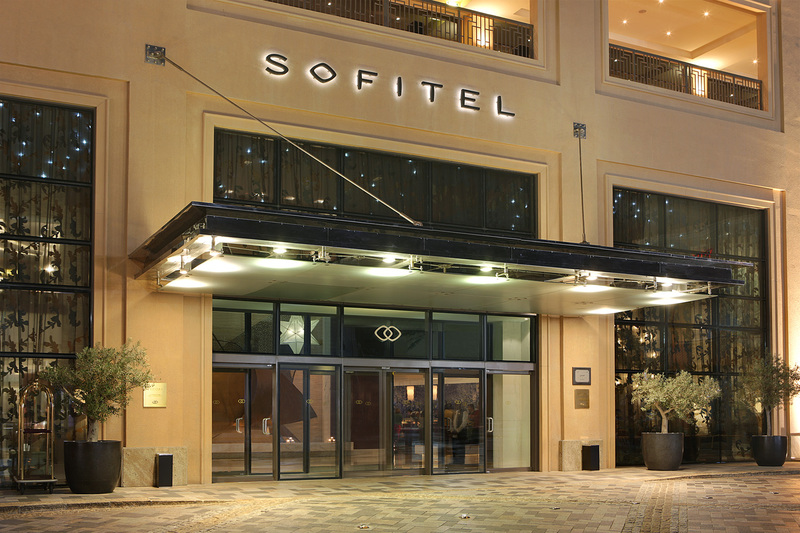 Hotels are plentiful here, and there is a hotel to suit every type of budget. I stayed at the four-star JA Ocean View Hotel, a family hotel with an eye-catching lobby and comfortable rooms decorated in seafaring blue. 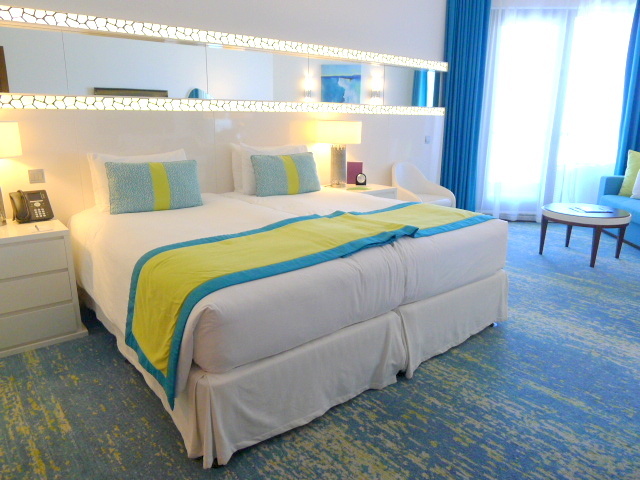 Each of the rooms are well-kitted and spacious with a balcony that looks out onto the beach (hence the name), although at the moment there is a fair bit of construction work taking place on the beach promenade which is currently scheduled to finish around October 2014. Facilities at the hotel include an outdoor pool, a spa and a gym, and being a family hotel, there are a number of children’s activities to help keep the little ones amused. 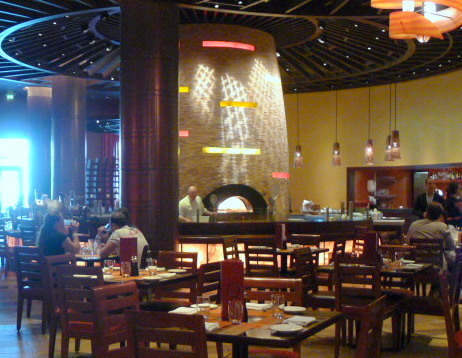 There are five restaurants at the hotel including the Brazilian churrascaria Fogo Vivo and Le Rivage, a beautifully decorated restaurant where the buffet breakfasts, buffet lunches and themed dinner nights are held. The standard of the breakfast is ok, but there is a good amount of choice to tickle every fancy. I was also interested to discover that Girders, the hotel’s British sports bar has a giant TV screen and runs ladies nights every Tuesday where ladies can drink free champagne between 8pm to 10pm and free cocktails thereafter until midnight.